Keep in mind that climate change and global modeling was very new. Computers of the time were not equipped to handle this sort of calculation. 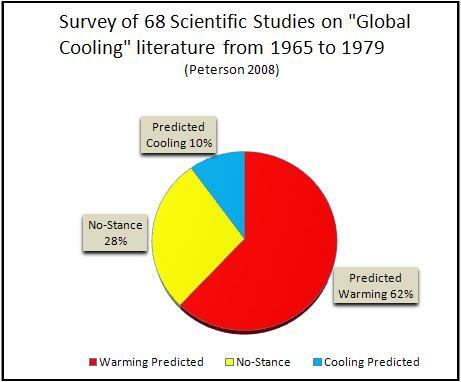 Even so the 1975 US National Academy of Sciences/National Research Council Report, the most comprehensive study on climate change, and closest to scientific consensus, issued a report. Their basic conclusion was "…we do not have a good quantitative understanding of our climate machine and what determines its course. Without the fundamental understanding, it does not seem possible to predict climate…"
This is in strong contrast with the current position of the US National Academy of Sciences: "...there is now strong evidence that significant global warming is occurring... It is likely that most of the warming in recent decades can be attributed to human activities... 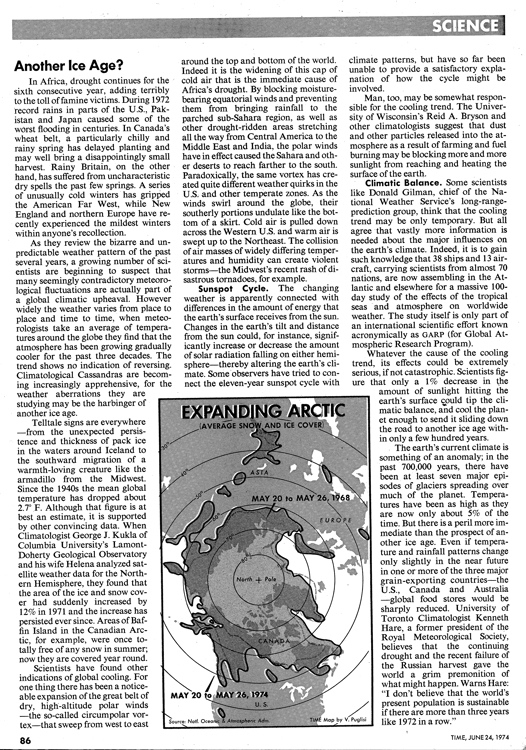 The scientific understanding of climate change is now sufficiently clear to justify nations taking prompt action." Now looking at the image Fabian has given us, it only shows a little over 100 years, and one may not appreciate the severity of temperature changes. While there are small dips and some areas with a downward trend, this does in no way cover geologic time. Most of these arguments come from the "Hockey Stick is broken" arguments. Most of these come from the science not having all the tools available or developed at the initial time. However, since these initial measurements were made, more and more tools have become available. And they are agreeing with the initial set of measurements. Again, with all this, you will notice statistical fluctuations. The best way to describe these would almost be to say they are weather. Weather is not climate. As shortlived humans, we have a difficult time remembering or projecting more than a few months in advance of our present time on a personal basis. Hence why weather changes seem so prevalent to us, even though they may only span a series of a few years. The overall trend is still very much upward. You can see some years where the global mean temperature anomaly went down for a decade or two, mainly around 1900, 1940 and 1960. This does not really change the overall trend you see in the picture. Although there is no evidence for cooling, there is evidence that the rate of warming slowed down during this time period. Human activity emits both greenhouse gases and aerosols (solid particles that float). Whereas greenhouse gases have a warming effect, aerosols can have a cooling effect. The cooling effect of aerosols can be caused both by direct interception of sunlight by the particles and by the increase in cloud cover caused by the fact that aerosols serve as cloud condensation nuclei. See figure below. Over the past few decades, in part due to the clean air act, the ratio of aerosols to CO2 has declined due to the use of cleaner burning fuels, more efficient combustion, and the removal of both gaseous and particulate pollutants from exhaust. Furthermore, aerosols, SOx, and NOx do not remain in the atmosphere as long as CO2. During this time, the warming effect of CO2 has overwhelmed the cooling effect of aerosols. Still, there is no evidence that the mean global temperature was decreasing from the 1940's to the 1970's, only that the rate of warming was stalled. Rasool, S.I. and S.H. Schneider, 1971. 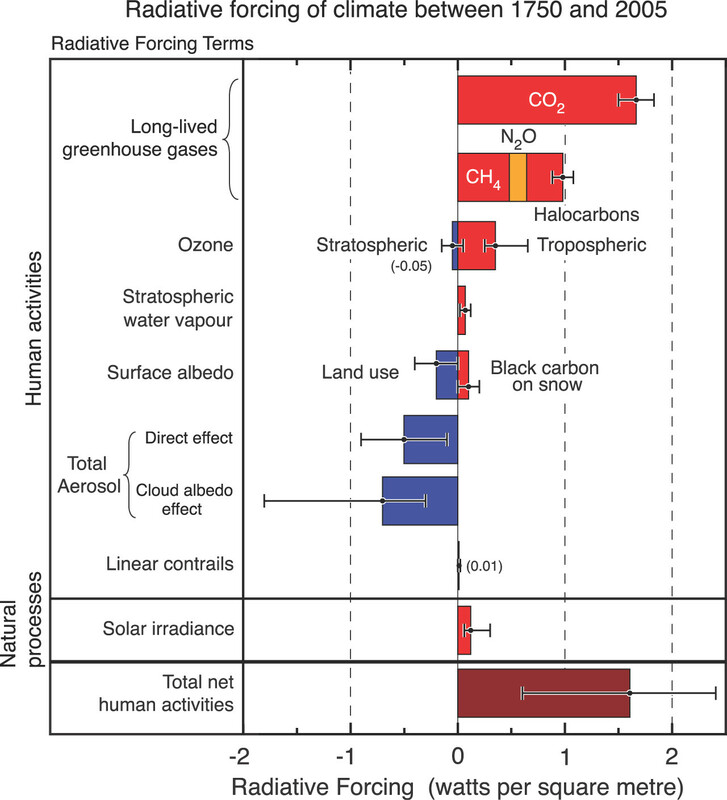 Atmospheric Carbon Dioxide and Aerosols: Effects of Large Increases on Global Climate. Science 173 (3992): 138. Not the answer you're looking for? Browse other questions tagged history environment climate-change climatology . Did UK Met Office claim in 2012 that global warming stopped 16 years ago? Did humans almost become extinct about 70,000 years ago? Has there been no global warming for 18 years?